What is an Operational Data Store? In the early 2000s, the Gartner Group coined the term zero latency enterprise (ZLE). In its words, ZLE was “the instantaneous awareness and appropriate response to events across an entire enterprise.” This response was later renamed the real-time enterprise (RTE). 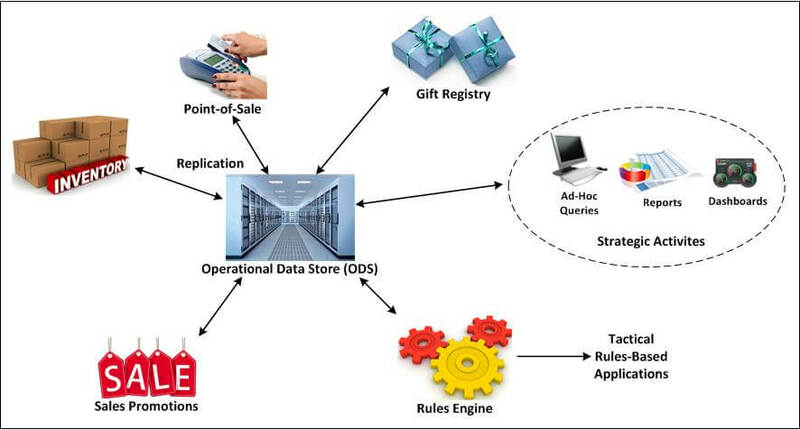 Figure 1 shows an operational data store (ODS) network, with bi-directional arrows representing the flow (replication) of information between the ODS and point-of-sale (POS), gift registry, inventory, strategic activities for a decision support system (which includes ad-hoc queries, reports, and dashboards), sales promotions, and rules engine (which sends the data to tactical, rules-based applications). In this architecture, any application can publish, subscribe, request, and reply to the ODS, which consolidates, extracts, and transfers rich, up-to-date information from any other part of the network. HPE was a leader in ZLE, with its ZLE architecture centered around an operational data store (ODS) that was similar to the data store used by an online data warehouse. Rather than periodically loading the ODS with massive amounts of data via an ETL facility, the ODS was trickle-fed transactions as they occurred so that it always contained the latest state of the enterprise as well as historical information. Using the ODS, classical data-mining engines could generate strategic information and knowledge, and real-time rules engines could make tactical decisions regarding immediate actions to take. One particular ODS characteristic requires it to handle mixed workloads. On the one hand, it must be able to respond to complex queries from knowledge users, data-mining facilities, and rules engines using online analytical processing (OLAP). The database structures suitable for OLAP are characterized by fat keys that allow rapid searching of the database to respond to complex queries. On the other hand, the ODS must be capable of online transaction processing (OLTP) at an extremely high transaction rate, as it is being fed transactions in real-time from many enterprise systems. The database structures suitable for OLTP are characterized by skinny keys that require a minimum of updating as data is added to the database. Another particular ODS characteristic is that it is bi-directional. Unlike a data warehouse, which typically only accepts information from enterprise systems, an ODS both accepts information from and delivers information to the other enterprise systems. An example of this characteristic is the act of keeping databases in synchronization. A particular data item, like a customer’s address, may be stored in several databases around the enterprise. If one system changes this data item, the ODS acts as a central data repository that informs the other systems of the new data value so they update their databases. Other examples of outgoing information are the results of the rules engine. If the rules engine decides to recommend a particular immediate action, that action is communicated to the appropriate enterprise system for execution. For instance, if the rules engine for a credit card processor detects suspicious activity, it immediately alerts the authorization system to take appropriate action. In concept, the ODS, which contains all of a corporation’s data, could become the database of record, the single version of truth. 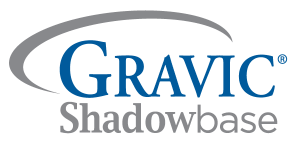 This action generally does not happen because of regulatory requirements and other considerations and the database of record remains on the existing systems, where it was resident for decades. As previously described, the ODS is simply the RTBI system but extended to the enterprise. Though RTBI systems are becoming common today, full-blown ODS systems have yet to make a significant appearance due to the complexity and cost of designing and building such far-reaching systems. 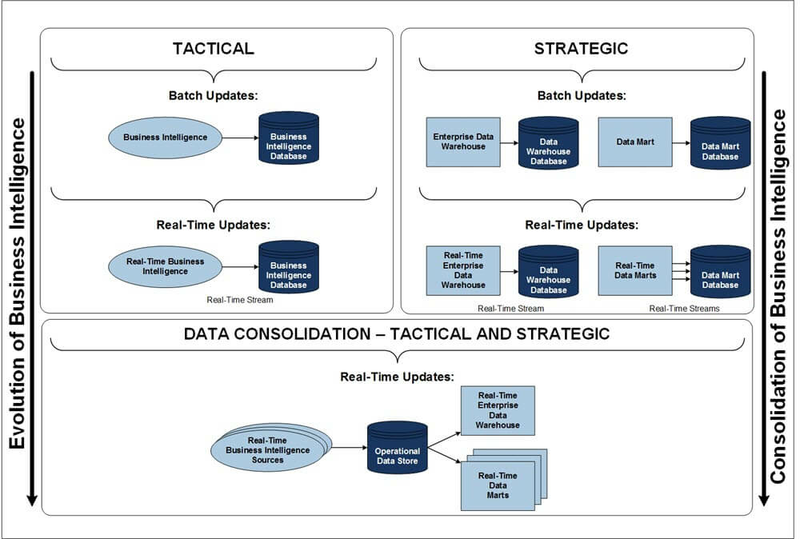 Figure 2 shows the evolution of the ODS, from its early stages (top of the diagram) to data consolidation (present day, bottom of the diagram). In its early stages, an ODS consisted of separate tactical and strategic systems, populated via periodic batch updates. These systems evolved into real-time systems, with ODS data being updated as it was changed on source systems, but there were still separate tactical and strategic systems with multiple ODS databases. There was no single, consolidated view of the enterprise. At the bottom of the figure, data from all these multiple ODS sources is consolidated in real-time into a single, true ODS, driving all the tactical and strategic decision making across the enterprise. It is conceivable that RTBI systems may evolve eventually to ODS systems. Early dedicated business intelligence systems used online data warehouse or EAI technologies. As these technologies proved their worth, data replication was added to move the technologies to real-time business intelligence systems, thus expanding their reach. Though RTBI systems exist today in many applications, each RTBI system generally supports a single purpose such as fraud detection, instant customer promotions, or just-in-time inventory. Considerable effort was invested by some companies to consolidate a multitude of RTBI systems into a single ODS supporting enterprise-wide tactical and strategic decision-making or enterprise content management (ECM). The single ODS supports both tactical and strategic decision making. The ODS is made highly available through redundancy, such as using an active/active replication system to achieve not only high availability, but also disaster tolerance. Corporate functions are less affected by the failure of one of the other systems. For example, a customer’s credit status is checked against the ODS without having to interrogate a credit-authorization system that might be down. The scope of decision-making is extended to many more areas across the enterprise. For instance, a drop in sales is correlated with increased accounts receivables on store-branded credit cards. Easier credit terms might help to restore sales to their previous level. The various corporate IT systems are isolated. No longer do they have to interact with each other through EAI. They each communicate only with the ODS system. Newly added applications do not have to be configured to interface with multiple other applications and only need to interface with the ODS. Also, other systems do not have to be modified to interface with the new system. The ODS is an expensive system in terms of hardware acquisition, software licensing, and development. More powerful data-mining engines and rules engines may need to be incorporated. The design of the ODS database is much different and needs to support both tactical and strategic queries, yet be very efficient in handling a large volume of updates. Fast update processing requires skinny keys in which a minimum of alternate indices must be updated, while efficient query processing requires fat keys providing many access paths to the data. The size and depth of the ODS can be quite extensive, as it typically has to store large volumes of historical and archival versions of the data, instead of just the current value of the data (also referred to as managing long data issues). Current database products tend to handle structured data well, but corporations also want to leverage their unstructured data (e.g., video, email, voice, text) for business gain. So-called big data collection, indexing, and accessing issues tend to thwart co-locating all of this information into a single repository, managed by a single DBMS. The volume of data generation overwhelms typical storage capacities. Clearly, more powerful data collection, transmission, storage and retrieval systems are needed. Applications may have to be significantly rearchitected, which is not only expensive and time consuming, but risky. Third-party products that do not readily lend themselves to adapting to an ODS architecture may be involved. The conversion of current decision-making processes might not only be difficult but may, in fact, be resisted by the user community. The bottom line is that today, companies are achieving RTBI by directly integrating their systems using real-time heterogeneous data replication, or they are trickle-feeding data marts in real-time and using these marts to gather information. These warehouses or application networks may or may not turn into an ODS as consolidation occurs. If no warehouse currently exists to act as the stepping stone to an ODS, companies may find it more economical to simply interconnect their systems in a mesh network using existing EAI technologies, instead of following a more planned and fruitful, but expensive path to an ODS.